For those attending Prom on Saturday, April 13th. Walk in will begin at 7:00 pm until 7:30 pm at Rustic Oaks. Please let your parents & family know that this will be the opportunity to take pictures. All seniors must pick up a ticket from Mrs. Kingfisher and all ticket purchases must be made by Wednesday, April 10th. Tickets are $30. 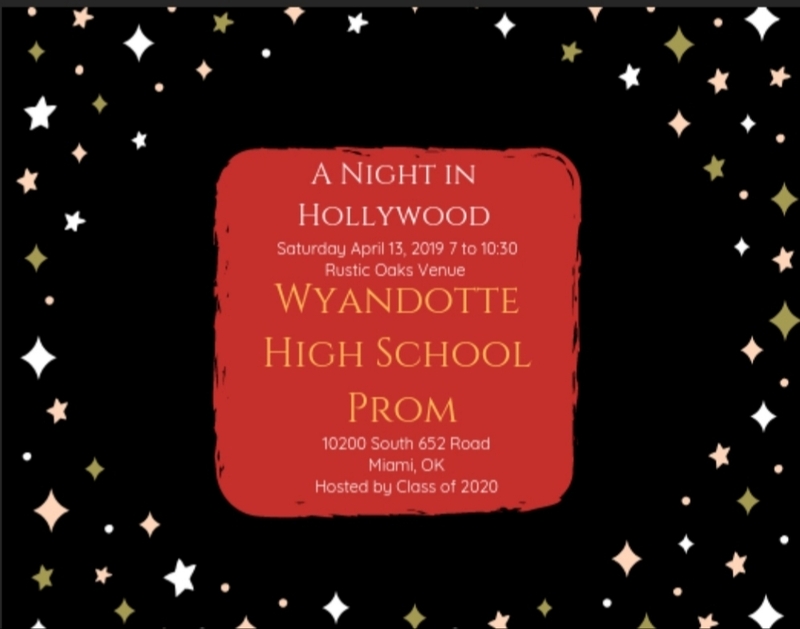 Thank you and enjoy Wyandotte Prom of 2019!